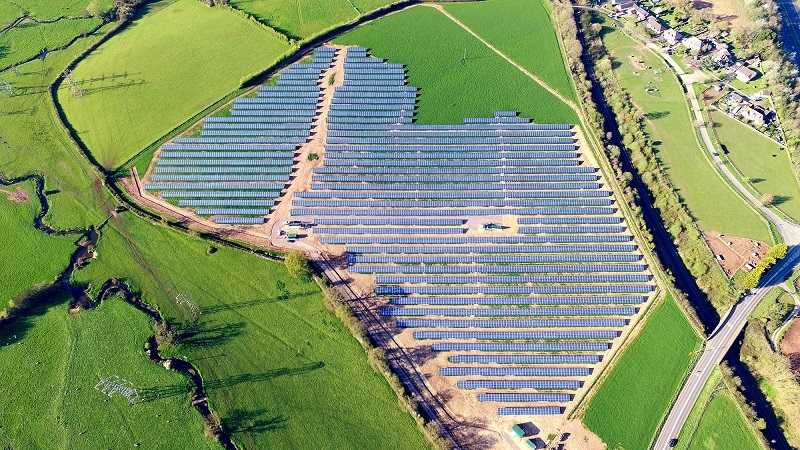 Triodos Bank has provided loans worth nearly £18 million to Spanish developer Gamma Solutions to refinance two solar farms in the UK. The backing includes £15.1 million from Triodos Bank and a further £2.8 million from The Triodos Renewable Energy Fund (TREF), a dedicated fund out of Triodos’ Dutch investment management arm. The two sites in question are the 15.1MW Stokes Marsh solar farm in Coulston, Wiltshire, and the 5MW Stoneshill solar farm in Exeter. Connected in 2015 and 2017 respectively, both sites are eligible for ROCs and are backed by power purchase agreements. Triodos Banks’ Stirling Habbitts said the firm had created a bespoke finance solution to meet Gamma’s needs, incorporating both project finance and mezzanine loans. “We are pleased to assist international organisations such as Gamma Solutions to grow their investments in UK renewables,” he added. With an estimated annual production of 19,973 MWh the projects will provide power to over five thousand homes, reducing C02 emissions by 7,716 tonnes. Gamma CEO, Cesar Gonzalez, said that Triodos’ financial package addresses the complexities of the ground-mounted energy project.